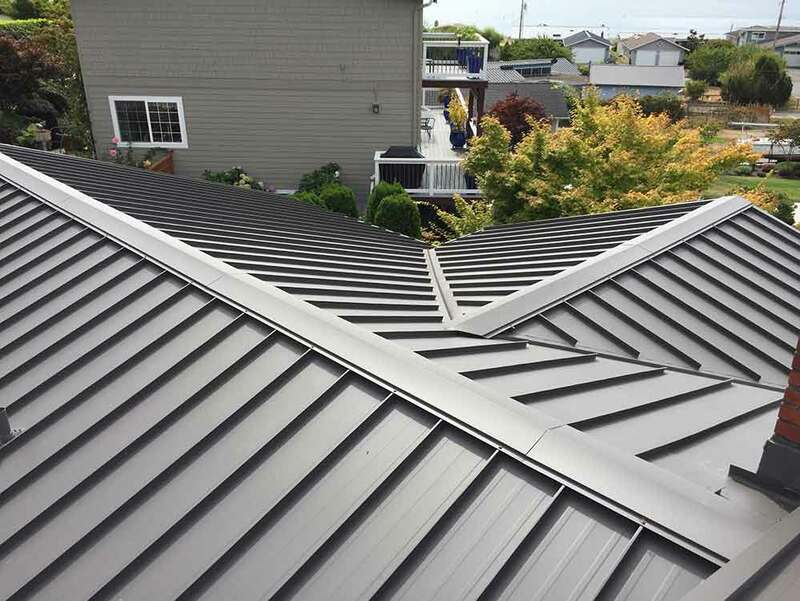 Metal roofing has become one of the more popular options for residential roofs in recent years. This is mostly due to its durability and affordability. Despite those benefits, it still has its critics. They talk about its supposed vulnerabilities, such as an ability to attract lightning and lack of soundproofing. Read on as State Roofing explains what metal roofing myths are simply untrue. While people have the impression that thin sheets of metal can be dented easily, the opposite is true. Metal roofs are incredibly durable, and can handle dents, punctures and tears. One way to check if the metal sheet you’re buying is tough is to look for for the impact rating of the material, with the rating of 4 being the highest. It is fairly reasonable to believe that a metallic roof can rust due to water from rain and snow. However, that’s a concern that has been tackled over time. Realizing how useful it is in roofing installation, many manufacturers have developed water-resistant paint to add to every metal roof. As long as the paint is applied and maintained, a metal roof will withstand even the harshest rains. Metal is known to be a heat conductor, but not so much today due to the unique structure of modern roofing. The main portion of the roof in charge of controlling the heat or cold is the underlayment. This is a thin sheet of waterproofing that also acts as insulation. With it, you can be sure that your home will lose less energy, allowing it to stay warm in cold months and cool in hot months. The noise from rain, snow and hail might reverberate on metal roofs, which people might find bothersome. However, residential roof installation professionals have taken care of this through the decking. As a thick plywood structure to hold the roofing, it also plays a big role in diffusing the sound. In other words, you won’t have to worry about sound unless you lack proper decking. Metal conducts electricity, but that isn’t a reason to fear using metal roofs. Lightning hits the closest and tallest object possible, whether it is a skyscraper or a tree, so it is highly unlikely for your home to be hit by lightning. Even if it did, the structure would diffuse the electricity throughout, so it won’t destroy your roof or damage the interior. State Roofing can help you get high-quality, durable, and colorful metal roofs fit for any home. To learn more about our services, call (360) 205-3100. You can also request a free estimate. We serve Seattle and other nearby WA communities.